There are few things more exciting than bringing home a new puppy. If this is your first pup, the overwhelming and unconditional love you are about to experience is off the charts. If this is not your first dog, then you already know exactly how wonderful dogs are; you understand the joy they bring to your family. When you finally make the decision to get a new puppy, it’s important that you start preparing your home for the little fluff ball. All things need to be considered: Where is the puppy going to spend most of her time? What brand of food will you feed her? What kind of toys or bedding will she need? How is she going to be trained? Is your house puppy-proofed? What kind of enclosure will your pup need? Planning ahead is important when it comes the pre-puppy preparations. The last thing you want is to get your new fur baby home and realize you forgot to buy dog food or puppy toys. Make a list, check it twice, and then check it three times. 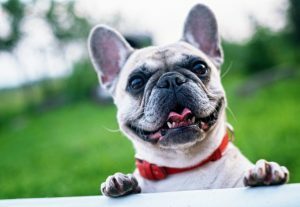 There are so many resources online that are helpful when it comes to getting your home ready for a new dog. At Freedom Dog Fence, we know that pets are family, and when you hire us to install an electric dog fence on your property, your pets become our family too! Your happiness is our priority, which is why we want to help make sure you are totally prepared for your new pup. Here are a few tips and tricks that will help you get your home ready and puppy-proofed. If your new puppy is going to be raised by everyone in the family, it’s important to establish, ahead of time, who is going to be in charge of what. Who is going to feed the dog? Who is going to arrange vet appointments? Who is going to walk the dog? Maybe you will find a rotating system works best where everyone is in charge of a specific task one week and then the following week, you change responsibilities. Another crucial point that everyone needs to be on the same page about is the way you will train your dog and what voice commands you will use when talking to your dog. For example, the command, “Down.” Some people use the word as a command telling the dog to “Lay down,” while others use it as a command for the dog to “Sit down,” or to “Get down” off of furniture or the bed. As you can see, this can be very confusing for a puppy, which is why getting on the same page about verbal commands is critical if you want a well-behaved dog. If this is your first time training a dog, it might be a good idea to invest in some professional advice. Research local dog trainers and take the time to chat with them about their training methods. If their methods align with the needs of your family and how you hope to raise your puppy, hire them for a few sessions! Where is your puppy going to spend alone time? You are going to want to spend every single moment with your puppy, guaranteed. 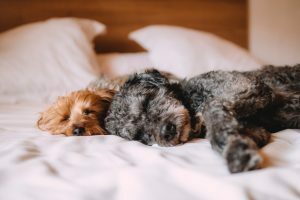 The reality, though, is that you cannot be with your pup every day, and you need to establish where your dog is going to spend time alone when you are gone. Puppies are extremely curious while they are growing up and trying to figure out the world around them. Everything is new and exciting and fragrant, and if you have even the tiniest hole in your kennel or fence, the puppy is going to find a way to get out. At Freedom Dog Fence, we offer wonderful enclosure solutions that eliminate the need for clunky fences and the annoying maintenance and upkeep that goes along with them. Our invisible fences are installed underground and provide a safe space for your dog to roam without you having to worry about possible puppy escape routes. If you already have a fence in your backyard and are not thinking about installing an invisible fence, make sure you walk the perimeter of the yard, searching for any security “weak spots.” Again, if there is a way out, your puppy will undoubtedly find it. Don’t forget about your home’s interior, too. As we mentioned before, puppies are extremely curious. They will eat or sniff just about anything in order to figure out what it is and if it’s something they can snack on! When it comes to preparing the interior of your home for a puppy, a good rule of thumb is: get everything off of the floor—shoes, books, magazines, cords, cables… everything. Also secure down-low cabinets and cupboards with childproof locks and straps. You never know when your puppy is going to squeeze its nose into a cupboard and start munching on a roll of toilet paper. Not a fun cleanup for you and that toilet paper could cause a blockage in your dog’s intestines if they consume too much! If you have expensive rugs or furniture, remove the rugs until your dog is old enough to know not to chew on them and cover your nice furniture with blankets or other protective sheets until pup learns that it’s not okay to be on the furniture. Make a list of the puppy essentials. To maximize your puppy bonding time, make sure you have everything checked off of your list of essentials. Here are a few things we recommend including on that list. 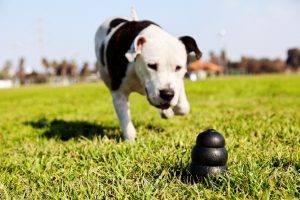 There are, of course, many items that you will need for your new dog, so it’s important to check-in with the breeder or shelter you are getting your dog from to ensure a seamless transition home. Your puppy feeds off of your energy. Dogs are incredibly brilliant animals and are excellent at reading human emotion. If you are feeling sad and crying, your pup will also feel sad and curl up at your feet or do its best to cheer you up. If you are happy and excited, your dog will be happy and excited, too! This is why maintaining a positive and constructive attitude is important. If you are easily frustrated and your puppy isn’t learning as quickly as you would like it to, stay calm, patient and supportive. The last thing you want is for your puppy to feel like it’s in trouble for something, when all it is trying to do is learn everything for the first time. Always strive to provide a positive, loving environment for your pup to grow up in. And what was that about an invisible, electric dog fence? If you and your family are all ready to bring your puppy home but still do not have a secure enclosure, give the professionals at Freedom Dog Fence a call. We will explain everything you need to know about our dog fences and how they are installed. So congratulations on the new puppy, and we look forward to speaking with you soon!